Windows 10 comes with a few apps bundled by default. Some of them like the Calculator and Photo Viewer are quite useful. Others like Candy crush are utter blasphemy on Microsoft’s part. In addition to being annoying, these apps take up space on the hard drive, memory and show constant notifications. In spite the regular requests from users, Microsoft has only slightly added the functionality to remove unnecessary crapware from Windows. You may try to uninstall these apps via the Control panel, but to our surprise, there is no option to do that. Instead, you have to use the Settings app for this purpose. 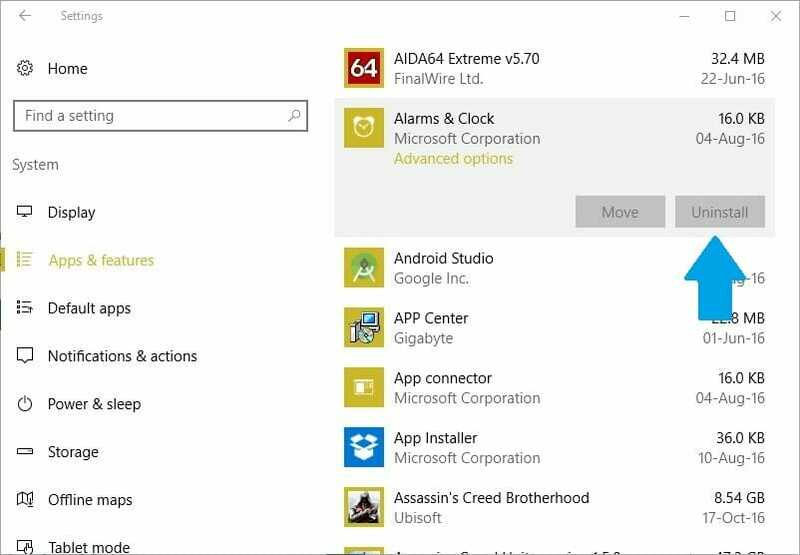 For the people using Windows 10 build 14936 and above, the Settings app has the option to remove the pre-bundled apps. Of course, Microsoft has still limited what app you can uninstall from the system, so this is not the go-to solution for everything. To check what version of Windows 10 you have, type winver in the command prompt. It will show you the build number. Make sure that it is greater than or equal to 14936. 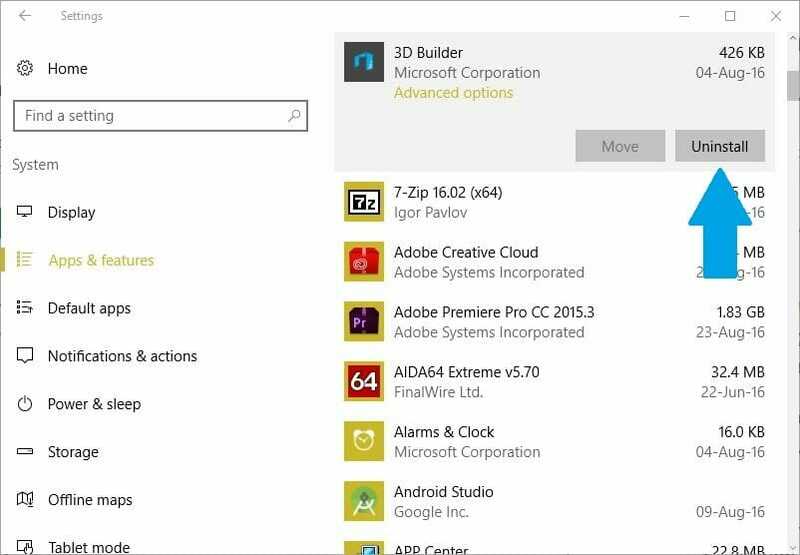 As you can see in the image below, the 3D builder app has Uninstall button clickable. To remove the app, you just need to click on it and the normal uninstallation process will begin. Apps like the Alarm & Clock, Calculator, Camera and Groove Music are not removable. Forcefully removing some of these apps may break the system, so Microsoft has decided to not give the users the power to remove them. Of course, you can still remove them via command line. Search for Settings in the start menu and open the Settings app. Go to Settings app > System > Apps & features and set the Show content from all drives to This PC (C:). Doing this will list all the apps installed on your C:\ drive including the Universal apps. Click the app you want to remove but make sure that the uninstall button is not grayed out. Hit the Uninstall to remove it. Depending on the size, it can take a few seconds to a minute. You can read the guide to disable data collection and Telemetry in Windows 10 to remove other Windows 10 features.